The German company has struck a deal with U.S. regulators to clear its $60 billion acquisition of seed group Monsanto, the Wall Street Journal reported. After EU approval in March, a two-year saga is almost over. Bayer’s sagging stock price means shareholders can hold the cheers. 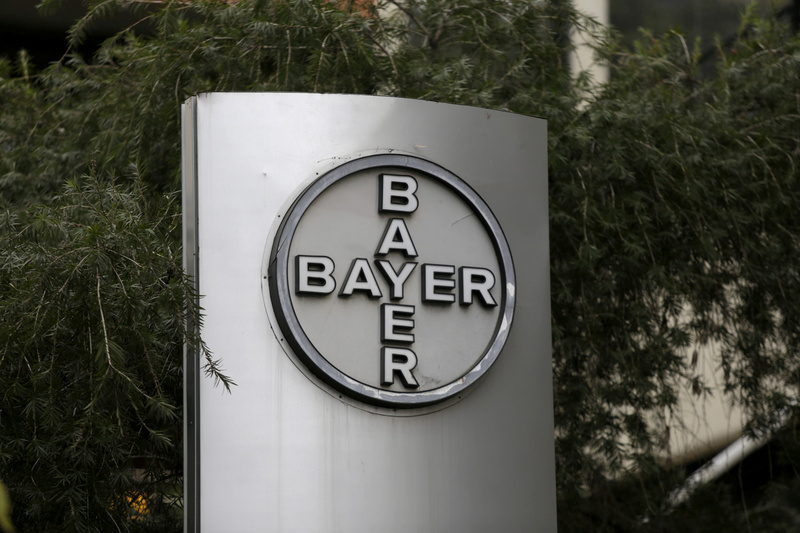 The corporate logo of Bayer is seen at the headquarters building in Caracas, Venezuela March 1, 2016. The U.S. Department of Justice will allow German pharmaceutical and chemicals group Bayer to buy Monsanto after the companies agreed to sell more assets in return for antitrust approval, the Wall Street Journal reported on April 9, citing people familiar with the matter. Under the agreement, brokered between the two companies and the DOJ in recent days, Bayer would sell further seed and seed-treatment assets to German peer BASF and make concessions related to its digital-agriculture business. European Union officials approved the deal in March after Bayer agreed to remedies worth more than 6 billion euros ($7.4 billion), including the sale of overlapping seed and pesticide businesses and assets to BASF. Bayer’s all-cash offer of $128 per Monsanto share, which values the agricultural-science group’s equity at almost $57 billion, would create a company with a more than one-quarter share of the world’s seed and pesticides market. Bayer shares were up 5.1 percent to 98.18 euros at 0845 BST on April 10. Monsanto shares closed up 6.2 percent at $125.15 on April 9, or 2 percent below the offer price.